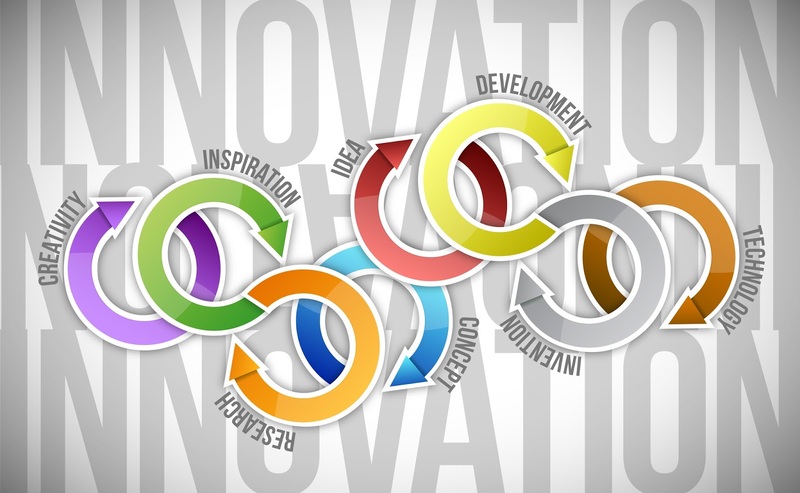 Innovation has been a hot topic of discussion for the past couple of years even though it is not a new or novel concept. New ideas leading to improvements have been occurring since the beginning of time. All one has to do is take a look at the evolution of the human species to see how important innovation has been leading to society as we now know it. Leonardo da Vinci and Galileo Galilei could be considered the forefathers of modern innovators. Their ideas and inventions paved the way for all who followed. The industrial revolution brought the topic to the forefront. Shortly after the likes of Thomas Edison, Henry Ford, and Alexander Graham Bell blazed a trail with some pretty amazing inventions that improved the lives of many. The rise of entrepreneurs in every facet of society, coupled with advances in technology, continue to push the conversation. With changes to current professions, entirely new occupations, and different expectations to succeed in a world that we have no idea what it will look like, the pressure is on to evolve or else. Innovation has not trickled but instead flowed into the education space. It seems like everyone is talking about the need to innovate to improve education as a whole as well as learning for students. As a result, we have seen some pretty amazing changes in a short period in schools across the world. I am all for innovation in education and played my part as a high school principal to usher in changes, both big and small, that led to evidence of improvements in teaching, learning, and leadership. It is important, however, to pause and reflect on what we are trying to accomplish. A recent Edutopia piece titled The ‘No' in ‘Innovate' really got me thinking about this topic. The author challenges all of us with the notion that sometimes the best way to innovate is to say no. Innovation for many has become just another thing added to a long list of initiatives or expectations. Not all innovations are good for education when repeatedly packed on top of each other, and we can't assume that positive changes will always result. It is also important to note that "saying" something is innovative and actually "showing" that it is are two different paradigms. As the common saying goes, the proof is in the pudding. A particular direction is needed to help align innovative change to the vision, mission, and culture of a respective school. At the individual level, a basic need to support or enhance practice is at the core of a decision to innovate or not. It is important to consider both the short and long game as to what you hope to accomplish. So how does one decide to innovate or not? To help with this decision consider the questions below. Why will it improve what you or your students do? How do you know it has led to an improvement? How do others determine if it has led to an improvement? What is needed to scale the effort(s)? 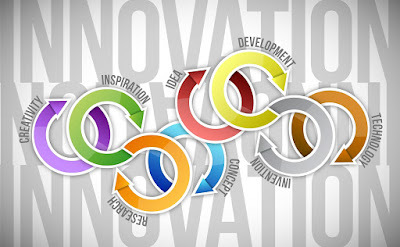 Innovation is a collective endeavor geared at not only individual but more importantly system improvement. Research can be used to inform and influence the process but does not need to drive it. What is important is to show how innovative practices can, and will, improve our work. Evidence that illustrates efficacy helps move innovation from an isolated practice focusing on small pockets to scalable change that impacts an entire culture. This is something Tom Murray and I showcase and discuss this extensively in Learning Transformed. Start small, but think and plan for big. Innovate with a purpose, but make sure this mission extends well beyond an individual level. In the end, it's not about how much you innovate in education, but the resulting impact of the changes on the collective. Odd choices of innovators. The industrial revolution took place between 1780-1830 https://en.wikipedia.org/wiki/Industrial_Revolution well before Edison, Bell and Ford came on to the scene. The real innovators were people like Watt, Stephenson and Fulton. Thanks for bringing this to my attention. I have updated accordingly. I saw that Edutopia article and was hesitant to read it. A just say no attitude can also be the thing that allows schools to continuing to do what they always have done. I see "saying no" as having potential to stifle teachers who are interested in attempting practices that may very well change instruction or student understanding in a positive way because of the fear of it not working "the first time." The innovators you mentioned may have been told "no" that's a terrible idea and we know the first light bulb that worked was not the first attempt to create light. As a leader, I strive to strike a balance between what we know is researched based and effective and supporting teachers in finding innovative ways to reach students. In a post I wrote title "Just Say Yes" talks about supporting teachers in these practices, creating a culture of risk takers and supporting children with the learning we know they need. I appreciate your posts as they always make me reflect on my learning. Thanks Eric. I don't think either piece (Edutopia of mine) was taking the stance of a just say no attitude. There as to be some sort of balance as to the number of new ideas and initiatives that a school or individual can successfully implement. The key word here is successfully. What makes something a truly innovative practice? My mantra as a principal was to say yes more than I said no. However, if I did say no it was for good reason to protect my staff (or myself) from taking on too much. I believe that there should always be a balance when innovating new ideas in learning organizations. It must make sense to how it would improve the outcomes; it must be practical; and it must generate learning. However, innovation should always be allowed to make its suggestions. I have heard some describe innovation as the intersection of desirability, feasibility, and viability. See: http://bit.ly/2htvilo. I also recall years ago the Preparing Tomorrow's Teachers for Technology (PT3) as part of the US Dept of Ed efforts, that in part looked at PD and innovative uses of technology. Unfortunately, some of those prior efforts, and even currently, do fall susceptible to the "Shiny Object Syndrome" where the eye candy (business/activity) supersedes an enhancement for learning, or innovation (change) is considered good because of a new administrator as they look to bring value and are not "into" embellishing existing efforts as part of the "Not Invented Here Syndrome." Many of these new learning management systems that promise "personalized learning" present visual graphics of student progress without providing potential reasons to teachers why they may be struggling, nor suggests strategies based on learning theory as to how to help students progress! I do like the notion of learning analytics/dashboards if empowered to this extent and learned a lot from the Learning Analytics and Knowledge Conference (LAK) hosted by Solar (https://solaresearch.org/). It's funny, but I always fall back to the basic principle of starting at the end goal when making decisions. Will adopting an innovative idea help my students get to our end goal? If the answer is yes, that it's almost always a worthwhile venture. If the answer is yes with significant struggle to justify the yes, then it's not worthwhile. So far, this litmus test has not let me (or more importantly, my students) down. I agree with the above...I believe that there should always be a balance when innovating new ideas in learning organizations. It must make sense to how it would improve the outcomes. I don't believe that schools/organizations would move forward without believing it will improve it. I believe the estimate of how long it will take should always be doubled or tripled.